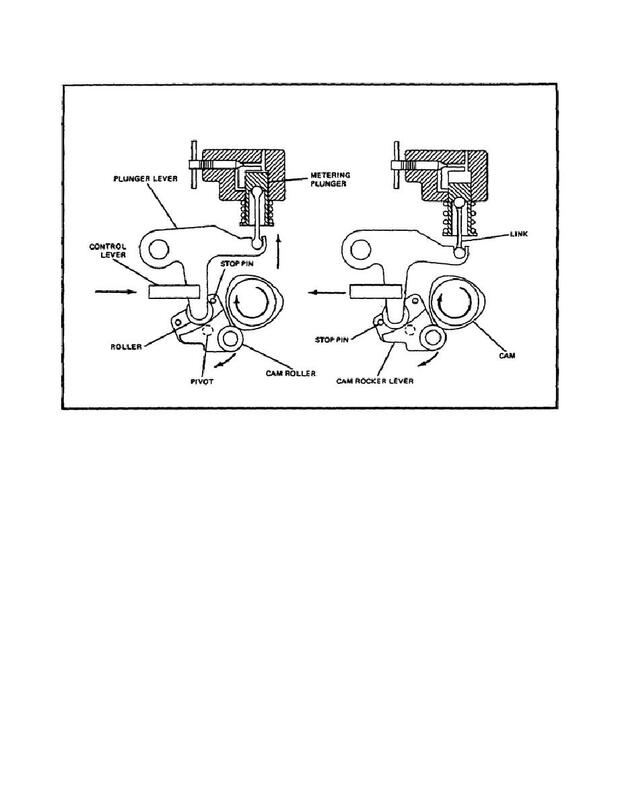 (4) Injectors (figure 49 on the following page). charge is based on the speed and load requirements of the engine. metering pump will expel an equal amount of fuel into the injector. to break the fuel charge into droplets.